That the crucifixion of the jesus of cycling had to happen today must not surprise anyone. The final nails have been hit smack dead center but essentially, its just a mere confirmation of the 1000 page doping report that USADA released a couple of weeks back. The latter in turn a kind reminder to the relentless journalistic pursuits from David Walsh, Paul Kimmage and many others who staked their health and their jobs to go after the Protected One. While Armstrong now battles his own personal demons and fights to pay back the people he wronged, I have to say I really don't have much more to write on him. I think all of us must just stop talking about Lance, think of it like a bad dream that never happened. By continually lending platform yapping about him, we're wading in the stagnated cesspool of cycling along with other blinded fans. In a past that never should have been. Let the people who are the stakeholders in this mess deal with this guy. 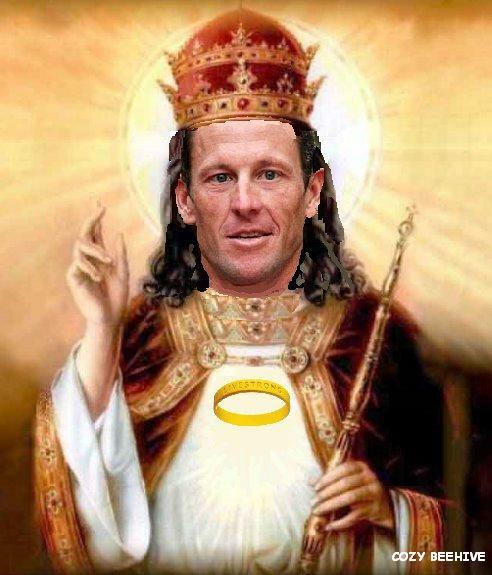 I do have one point to make - the Church of Lance Armstrong is now like the flat earth society. And there are people who still believe in the flat earth society! So people will ultimately be people. Fan boys will be fan boys. Let's move on. I will be more interested to discuss lessons learned. What will be put in place to prevent this kind of a catastrophe from happening again? At the coaching level? At the industry level? At the non-profit charity level? At the governing body level? And even at media commentary levels? A whole slew of bodies in cycling need reform. Let's not kid ourselves. This really isn't over, is it?